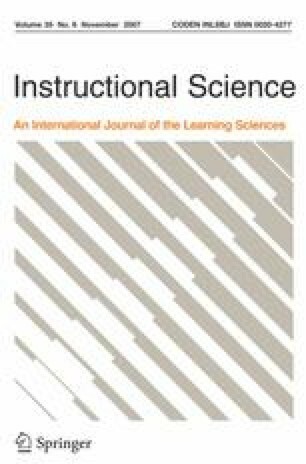 Recent research on principles of best practice for designing effective multimedia instruction has rarely taken into account students’ alternative conceptions, which are known to strongly influence learning. The goal of this study was to determine how well students of quantum mechanics could learn ‘vicariously’ by watching a student-tutor dialogue based on alternative conceptions. Two video treatments were created to summarize key aspects of quantum tunneling, a fundamental quantum mechanical phenomenon. One video depicted a student-tutor dialogue, incorporating many of the common alternative conceptions on the topic, and resolving inconsistencies in reasoning through discussion. The other presented the same correct physics material in an expository style without alternative conceptions. Second year physics students were randomly assigned to one of the two treatments and were tested before and after watching the video during a lecture. Results show a statistically significant (p < .01) advantage for the learners in the dialogue treatment (d = 0.71). Follow-up interviews of students yielded insight into the affective and cognitive benefits of the dialogue video. We would like to thank Richard Mayer for his inspiration and helpful suggestions on this project and Jacqueline Hayes for helping to produce the video treatments.